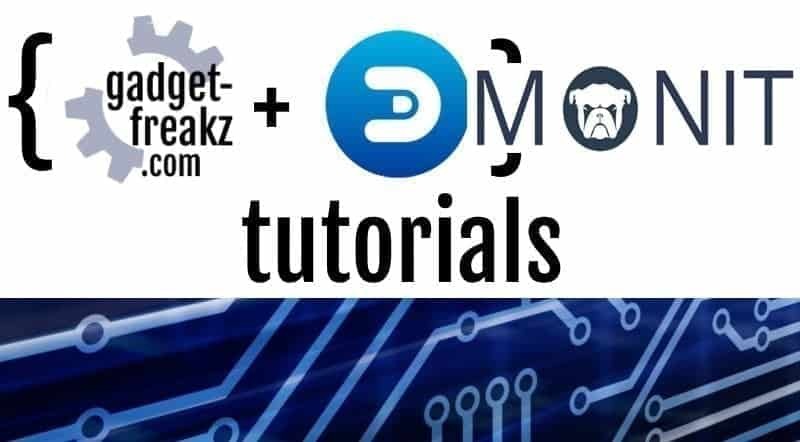 Making a smart home is easy when you have Domoticz. Many protocols and brands are compatible. But choose the right hardware can be difficult. I started a few years ago with COCO (Click On Click Off). It was cheap, 433mhz and easy to include. But after a few years things changed. It isn’t the cheapest anymore, but much more important it isn’t the most reliable protocol. The last few years more devices were released and prices dropped big time. Some protocols create a mesh network so your commands would be hopping from sensor to sensor, this extends the range. When you want to lightning, it can be done through a device behind the switch, inside your wall. But it’s easier to change the light bulb with a smart bulb. 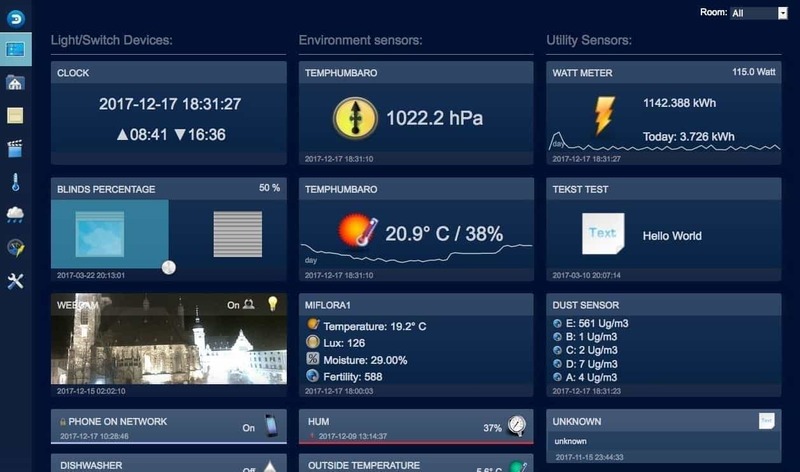 I made a list of stuff I have and use on this page: My Smart-home setup. I started with 433mhz devices from COCO. It isn’t bad because it’s cheap and simple. But now there are better products available. For 433mhz you need a transceiver that receives and send the commands. The first one on the market was RFXcom. Later stuntteam came with an open-source variant based on an Arduino. It’s cheaper, nice to build by yourself, and you can extend it with other receivers (686, or 2,4ghz). Development is really fast because of the software they use to decode different protocols. Firmware released often and in a short period, that’s the reason it became really popular. If you like to solder and buy cheap sensors or a cheap wireless doorbell it’s perfect. The reason I write a separate paragraph about the Philips Hue is that many people already have this system. Although they haven’t a real smart home, the basic set is enough to control some lights. One of the first and easy product to control the lights and also colored lights from a well-known brand. When you have already this box you have the controller that can be used in Domoticz. Extra fun is that Ikea came with there own lightning products based on Zigbee but for a much cheaper price, with a little trick, the bulbs can be included in Hue. Zigbee is an open standard which can be used by everyone. This is the reason why many brands are choosing for ZigBee. Philips and Xiaomi for example. But because of that, there is no authority that gives a certificate of checks. And that is the reason many brands that using Zigbee doing this with tiny differences, so although it’s Zigbee it can happen that devices are not compatible. 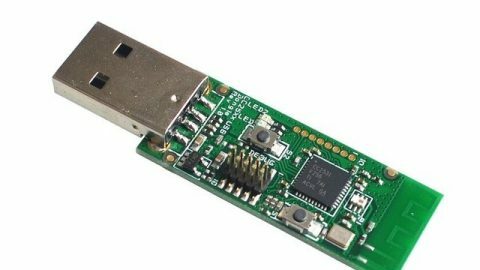 The USB stick controllers: zigate and Conbee. Zigbee is using the 2,4ghz band that is the same as WiFi and Bluetooth. Philips, Xiaomi, Samsung, Ikea are a few companies that using Zigbee for the devices. When Philips was one of the first that price was higher. Now Ikea produces products that are much cheaper and compatible with hue.The brands named have different products but most of them are something to do with lightning. the bulbs or strips itself of a controller as a remote, a switch or a motion sensor. Z-wave is not open but a closed standard from Sigma. 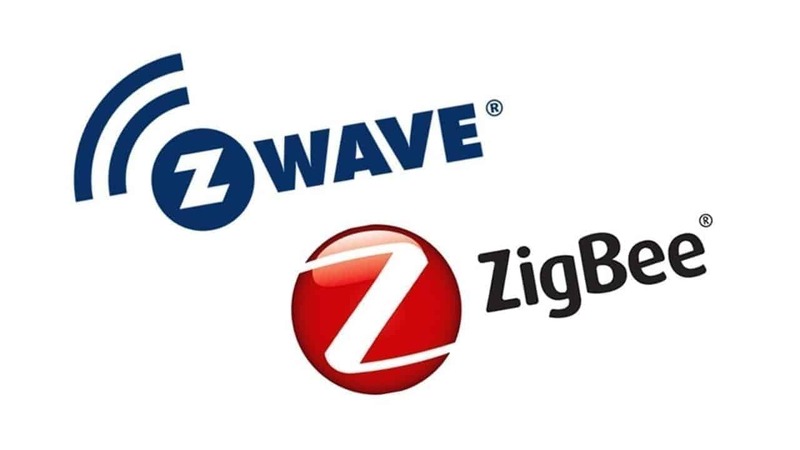 They started a Z-wave alliance where companies but be part of to use the protocol. All products that using z-wave must be tested and certified. This is one of the reasons the price of a z-wave device is higher than by Zigbee. Because of that alliance with there rules, there are no differences in using the protocol, which means every product of every brand is using the protocol the same way and are always compatible. The only difference is the frequency, euro has another frequency. 868,42 Mhz in Europe and 908.4 MHz in the United States. So when buying on the internet always check the frequency. Fibaro, Aeotec are the most popular Z-wave brands. But NeoCoolcam (looks like imitation fibaro and also a lot cheaper) become more popular. Z-wave has lightning, sensors, sirens, door openers, keyfobs etc. It depends on what you want and what you already have. Xiaomi gateway and devices is a must-have! RFLink is cheap and nice to have for 433mhz. Check out the compatible buy list on our site.